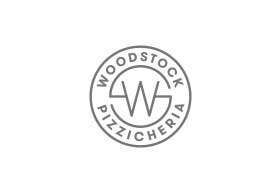 Woodstock Pizzicheria is a showcase of traditional Sicilian Italian food. That tradition has been passed on to the owner Tony Cannata, from his family, since their migration to Australia dating back to the early 1920’s. Considered the pioneer of wood-fired pizza in Melbourne. Tony’s passion for pizza is demonstrated by his many awards and accolades in the industry. His passion to create the perfect pizza base and to find the perfect tomato to compliment his pizzas have seen Tony travel throughout Italy sourcing the finest of ingredients. The exclusive use of 'Molino Caputo' pizza flour, and 'San Marzano' tomatoes, considered by many as the best of the best, confirms this achievement and the two are now used exclusively as Woodstock’s choice of pizza flour and tomatoes.